3 Beds 2 Baths 1,705 Sq. 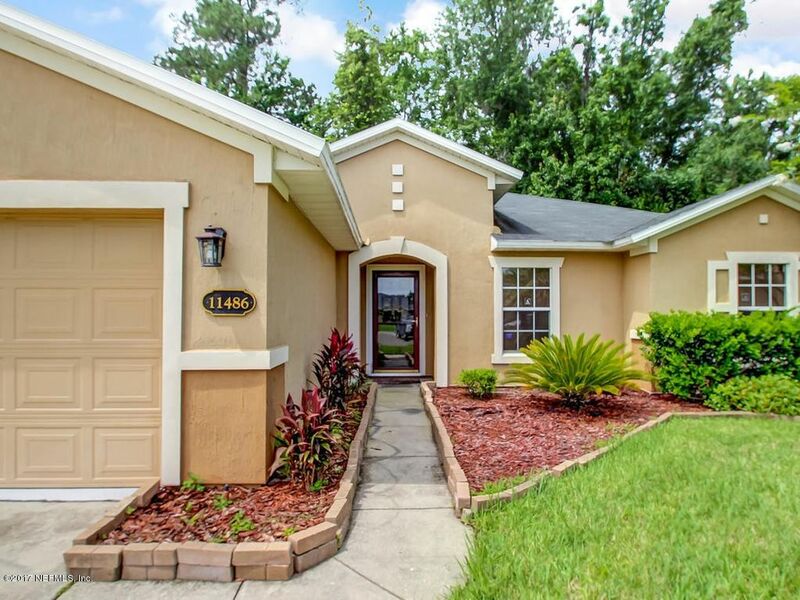 ft.
Beautiful 3 bedroom 2 bathroom, spacious home, ready for move in. This lovely home greets you with nice curb appeal in this established neighborhood that is minutes to shopping, the airport and major interstates. This lovely home features a large foyer with French doors, new carpeting throughout, well appointed kitchen that includes all appliances, cherry stained cabinets and a massive amount of counter space. The owners suite features, a spacious bedroom, double sinks, garden tub, a separate shower and a massive sized walk in closet. From the family room, you enter into the attached Florida room for cool, bug free entertaining or it can be turned into a man cave. Ask how you may receive $15,000 in down payment and closing cost assistance towards the purchase of this home. Directions: From I-295 Exit Lem Turner Rd. South, Left On Robena Rd., Left On Springboard. The Property Is At The End Of The Cul-De-Sac.